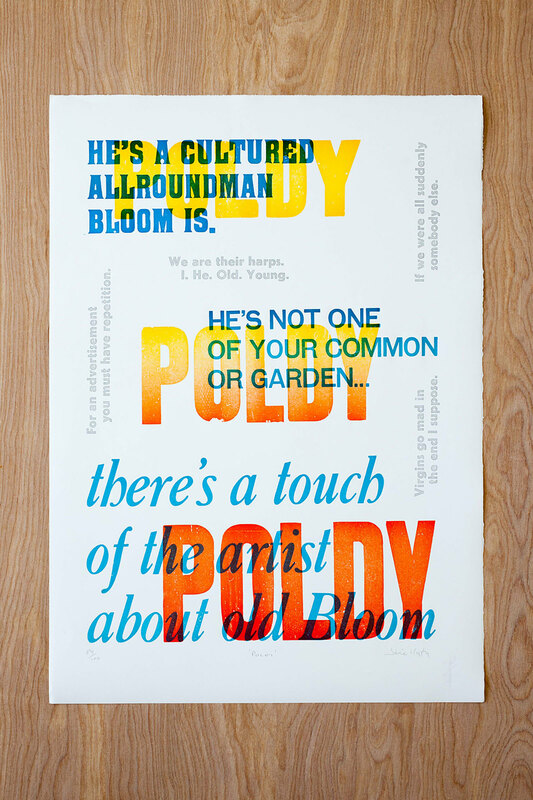 This poster was created to promote ‘The Works of Master Poldy’ which launched in June 2013. The excerpts are taken from James Joyce’s Ulysses. 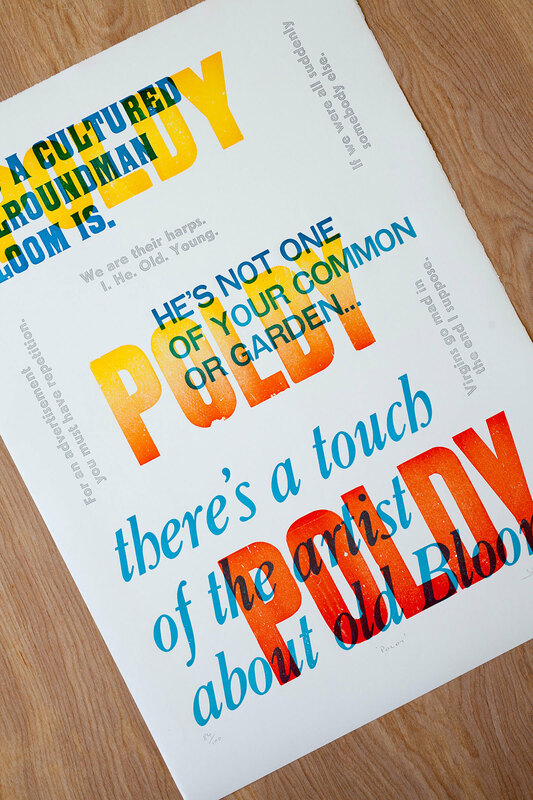 Printed with wooden type and Stephenson Blake's 36pt Granby Inline. Printed on an Adwest flat bed proofing press.